Although it was just last year that we visited Fatboy's in Haleiwa, it's been a while since we visited the Waipio location. 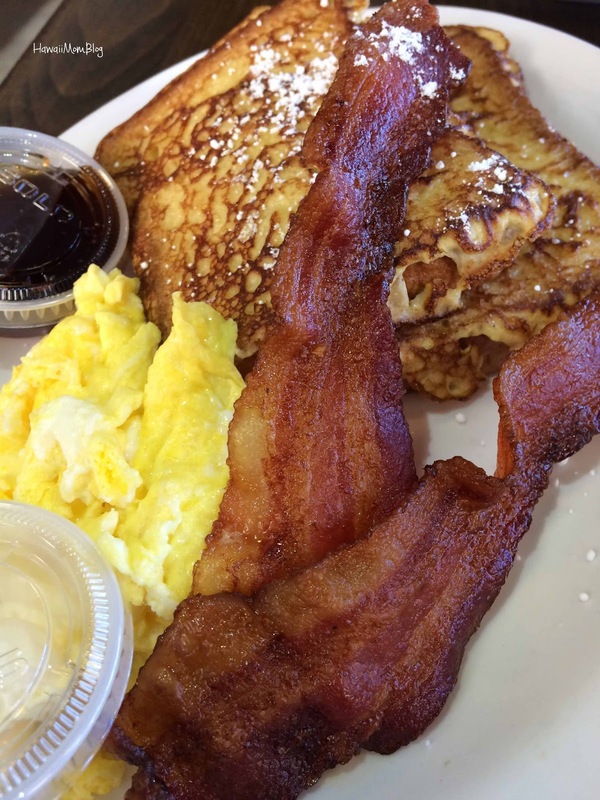 I'm a fan of their Garlic and Teri Chicken, but for the for first time, I had breakfast there! 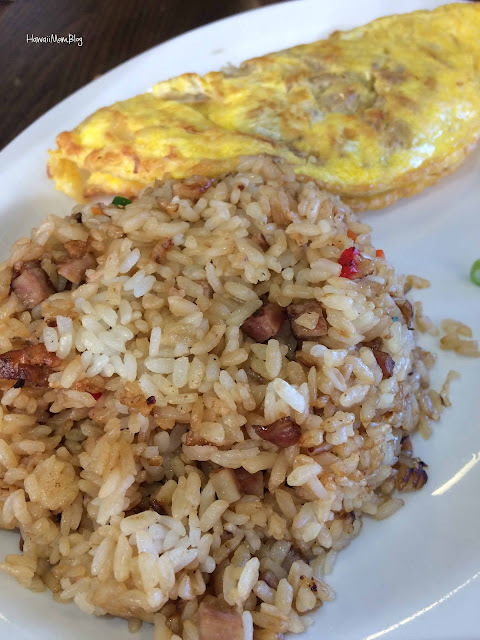 I ordered one of the specials of the day - Kalua Pork and Onion Omelet with Fried Rice. 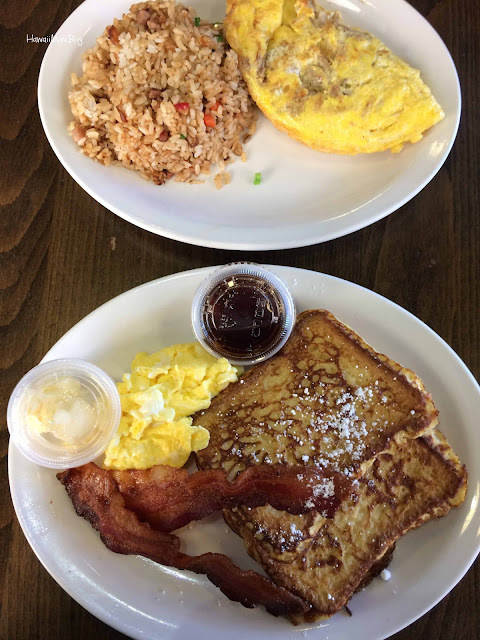 The omelet was hearty and stuffed with lots of kalua pork (my husband had to help me at it), and the fried rice was very tasty. My husband ordered the 2-Two-2 - 2 French Toast (or Hotcakes), plus 2 eggs and 2 slices of bacon. The portions were generous and the prices were very reasonable. However, service was not the friendliest. The man who took our order and gave us our food never smiled, and didn't even say "you're welcome," or anything at all when we thanked him for our food. Another woman there was very friendly and helpful, but unfortunately she wasn't the one who assisted us. Despite that, I was pleasantly surprised with how yummy and cheap the breakfasts were.